Weathertight file box is a durable, protective storage solution for your valuables and important documents. Box is designed with reinforced lid, four sturdy buckles and a seal to keep documents free from moisture, pests and debris. 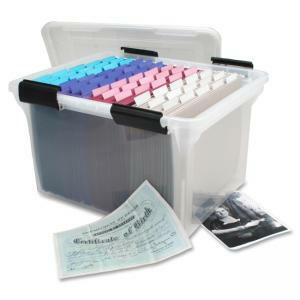 Store letter-size or legal-size hanging files.